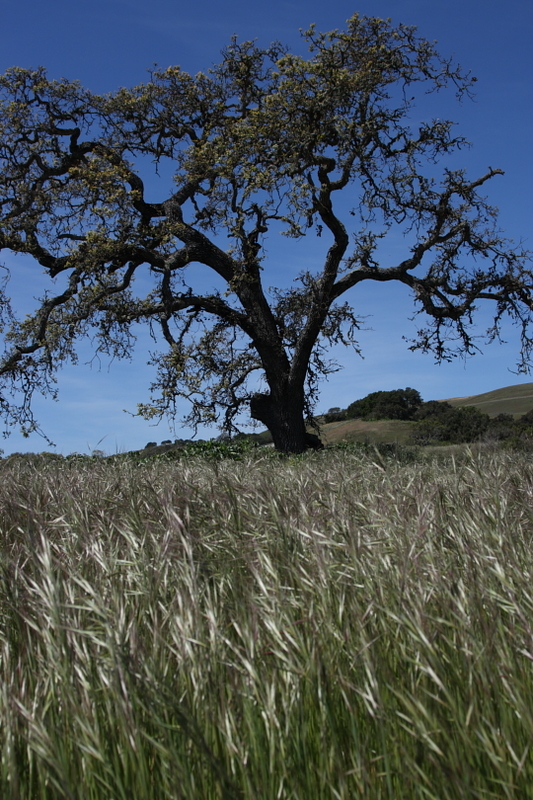 Here is yet another photo from my new favorite place the Laguna Seca Recreation Area in Monterey. Look at that tree! I can’t get over how beautiful that tree is. After looking at this image I realize that it kind of looks like I used a polarizing filter, I assure you I was not. In fact this is a straight out of the camera image, no adjustments whatsoever to the color or exposure. I used the 24-105 F4L kit lens that came with the Mark II, this is quickly becoming my favorite lens. It takes the most beautiful shots. That lens is definitely worth it’s cost. Photo Info: Shot with the Canon Rebel XTi at ISO 100, F8 at 1/400 of a second.